Opened in 1992, Disneyland Paris brings the Disney experience to the European audience. Approximately one-fifth the size of the City of Paris, it drew more than eleven million visitors in its first year of operation. 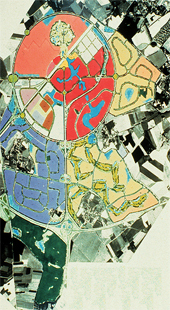 The development of the residential, commercial, campground, and lake-resort districts addressed the common linkages and focal points of the development scheme and the technical elements that reinforce the Disney design philosophy. 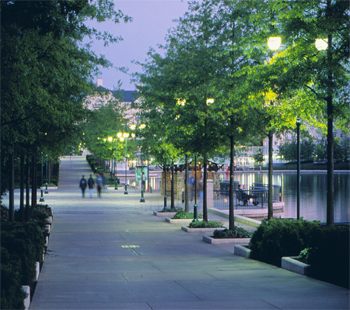 The project included on-going negotiations and coordination with the French government’s development agency and French landscape architects, and detailed landscape designs for implementation of the resort district’s lake promenade and riverways and the Disneyland Hotel that forms the gateway to Disneyland Park. The resort center on opening day comprised five hotels, totalling 5,000 rooms, fronting on a lake and river system.